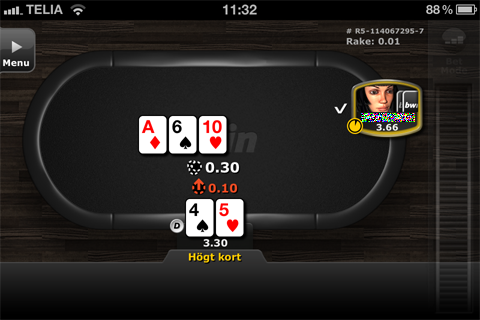 Here are 4 ideas for improvement in bwin’s new real money poker iPhone App! 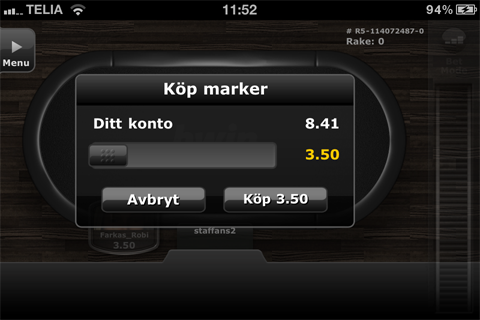 I’ve had fun playing around with bwin’s (this used to be linked bwin.com but they asked me to remove the link) real money poker iPhone App for a few days now. Overall it has been a good experience but there are a few things, I’m listing four that I believe needs to be improved in order to be a real killer app. 1. Give the player the option to select table! You select if you want to play for real or for fun by clicking on a button which then sits you down at a table. The problem is that you can’t choose which table to play at. For this doesn’t work, I want to be able to select which table to sit at not only by selecting type, max number of players and bet amount. 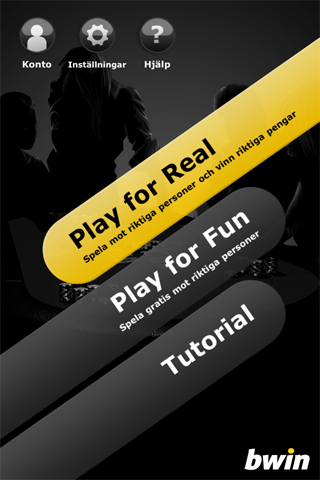 bwin (this used to be linked bwin.com but they asked me to remove the link) will increase the player experience by letting the player select a table of their choice. I would really want to play at a faster table since I can only play at one table. 2. Give the player the possibility to deposit money! What happens when you are out of money and want to make a new deposit? It is a hassle having to go to bwin.com and deposit money there. I want to do it right from within the app! The response time when you make an action, when playing on a 3G network, is a bit too slow. Its almost like you start to wonder if you actually hit the button with your finger or not. One of the first things I do when I start the app is to go into settings and turn on “post blinds automatically”. The app doesn’t remember this setting next time I want to play which is kind of frustrating. It has still been fun playing on the iPhone but I would have played even more if the four things listed would have been implemented.